In tests to determine if the northern Marshall Islands are safe for resettlement after nuclear testing nearly 70 years ago, scientists discovered that the areas are worse off than previously thought. A team of scientists from Columbia University published a study in June in the Proceedings of the National Academy of Sciences that hammers home the danger radiation on the islands still pose, specifically to people and families that were evacuated due to weapons testing beginning in 1946. Bikini Atoll specifically was displaying levels of gamma radiation far above what was anticipated. In the 1970s, scientists had predicted that radiation levels would’ve dropped to, at most, 24 millirems per year, according to Science News. However, the Columbia study showed that radioactive materials such as cesium-137 were producing around 184 millirems of radiation per year on Bikini. Some areas towards the center of the island measured as high as 684 millirems per year. To get an idea of how much radiation that actually is, the United States and the Republic of the Marshall Islands (RMI) governments set a standard of 100 millirems per year as a reasonable level of radiation exposure. The tests also measured radiation on other islands, including the Enewetak, Rongelap, and Utirik atolls, which were all hit with radioactive fallout to varying degrees. Bikini was a direct target for bomb testing, hence the much higher measurements. The history of the US’s experiments with nuclear testing, especially in the Marshall Islands, has greatly impacted the area. A lack of knowledge into the effects of nuclear fallout have displaced residents and have plagued them and their descendants with health problems. 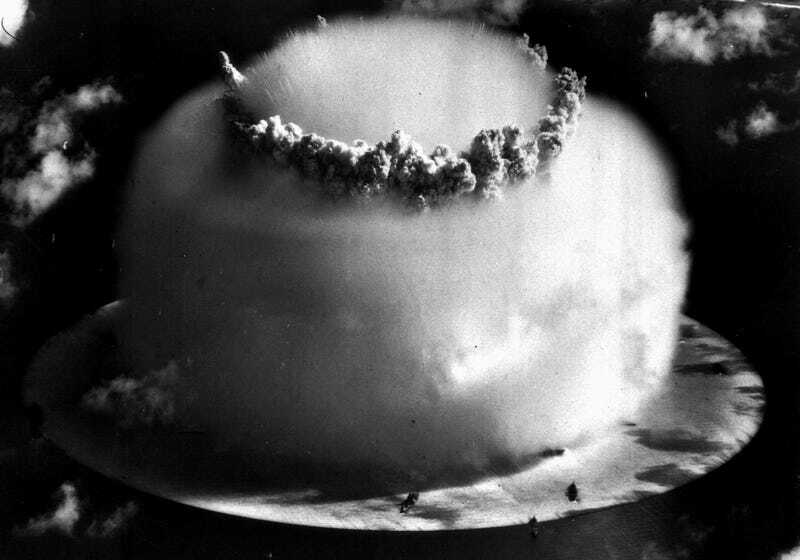 While inhabitants on Bikini and Enewetak, direct sites for testing, were evacuated before bombs were dropped, the Rongelap and Utirik atolls were not. Castle Bravo, the most powerful hydrogen bomb ever detonated by the US (1,000 times the force of the Hiroshima explosion), was tested in 1954 at Bikini and had such a strong reach that it affected the residents still on those atolls, who weren’t evacuated until three days after the tests. Missteps in relocating residents continued in the following decades, with resettlements of Rongelap in 1957 and Bikini in 1968 when levels were still too high. Residents were displaced again after significant levels of radiation were found in locally-grown fruits. Cleaning was done on the islands, but to varying degrees. Enewetak saw extensive cleaning compared to Bikini and Rongelap, for example. Currently the majority of residents in the region live on two islands: Majuro and Ebeye, which are subject to severe overcrowding. As for whether people can expect to inhabit the more northern islands any time soon, more testing is needed on “additional pathways” for radiation exposure, such as through food and water. “It seems imperative that further steps be taken to analyze additional exposure pathways to make a definitive statement as to whether these islands are safe for habitation,” researchers wrote.